Deliciously funny stories which help developing readers to build up a healthy appetite for books! Part of the popular Egmont Bananas structured reading series, these vibrant storybooks are a million miles from the dull look and feel of many traditional readers. Just watch your pupils go bananas for them! 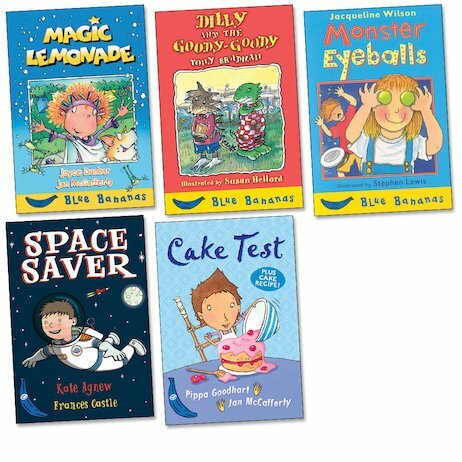 These Blue Bananas readers correspond to the second step of the popular Bananas series. Each book contains a single story which encourages children to sustain their reading, and is suitable for developing readers at National Curriculum Level 2.